The USDA appears to be more concerned than they’re letting on to over the escape of Monsanto’s genetically modified wheat into the environment, expanding the investigation to include an additional number of investigators. 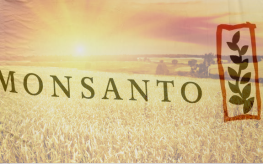 When the United States government says no to something, particularly a crop with unknown health effects that could be spread to the masses, Monsanto executives might want to listen up. Unless of course the USDA has let them run a little wild until now, spreading their franken-seeds all over the land. Though it isn’t clear how unapproved genetically modified wheat from Monsanto ended up growing in the wilds of Oregon, the investigation seeking to figure that out has just been expanded. According to Reuters, last week there were 9 investigators from the USDA on the ground. Monday, the U.S. government announced that team had grown to 15, all the while saying the wheat likely hasn’t made its way to “commerce”. Still, when the announcement was made last week that the wheat was verified as Monsanto’s GM wheat (known as MON71800), several countries let it be known they weren’t pleased and would not assume their imports were GM-free. South Korea and other Asian countries as well as the European Union said they would all be subjecting their imports to rigorous testing. Japan even spoke out, rejecting any further wheat from the U.S.’s Pacific Northwest. “Although our preliminary test result shows no genetically modified wheat was found, we are aiming to test all samples of wheat and flour imported from the U.S.,” said an official from Korea’s Ministry of Food and Drugs. Such scrutiny could ultimately hurt wheat markets as the country sourced roughly half of its total wheat imports from the U.S. last year. The escapee wheat was discovered in April on an 80-acre field in Oregon. Farmers found the wheat when they realized it had survived spraying of the weed-killer glyphosate. 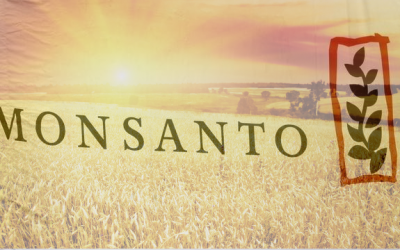 The GM wheat was crafted by Monsanto specifically to resist pesticide exposure; it was ‘RoundUp Ready’. Global resistance to GM crops and wheat forced the company to stop work on the product several years ago, before it was ever approved. The last field trial was conducted in 2005. So, how did the “experimental strain” of wheat get into an Oregon field? We don’t know and there’s no telling if we will ever be privy to that information. In the meantime, the USDA is in damage control mode, working to ensure Monsanto’s recklessness doesn’t have disastrous effects on the worth of U.S. wheat on the global markets. March Against Monsanto – October 12, 2013. Get up, stand up, don't give up the fight. Right Deanna, but how does one get the action going? Words without action are only words. their toxic seeds I believe we can do this as well. Really, how on earth can Monsanto or anyone else explain this debacle using the term escaped? What did the wheat escape from? It wasn't enclosed, it was planted out in the open, for the wind to carry the pollen. So, how does this all work now? Monsanto claims the wheat escaped, but when it comes to farmers that have had their entire livelihood polluted, Monsanto claims the farmers stole their "technology". No one can contain pollen in open field studies or growing operations. This is bioterrorism. Monsanto claims to the FDA (the FDA has not done any studies or hired an independent lab to do so) there is no difference between their poison & conventionally grown food, yet they claim to the US Patent Office, that it IS significantly different & that is why they are applying for a patent.